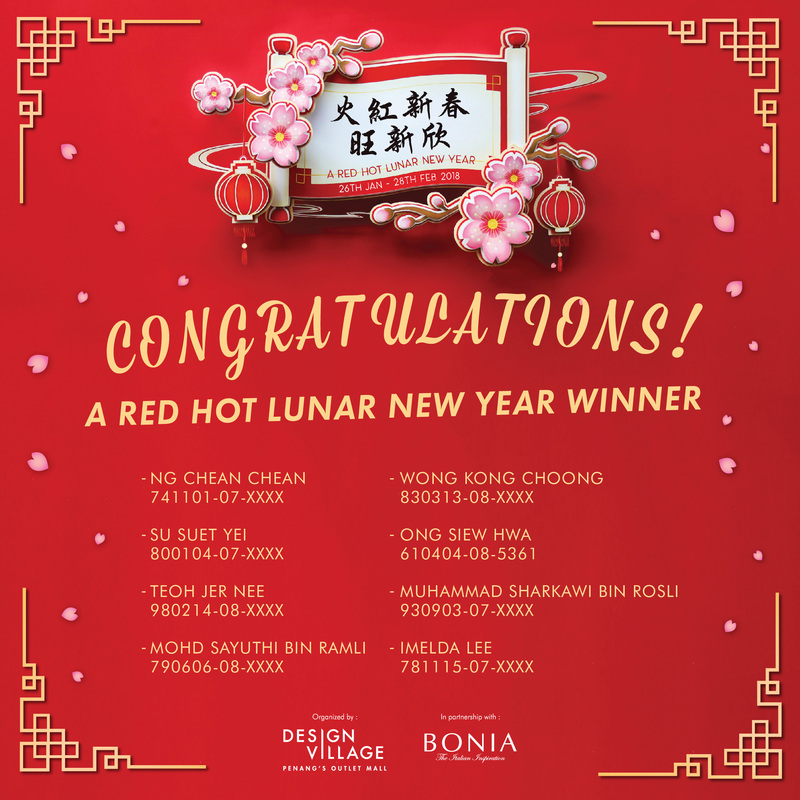 Design Village | A Red-Hot Lunar New Year Lucky Draw Winners. 05 Mar A Red-Hot Lunar New Year Lucky Draw Winners. Cash Vouchers worth RM6400 sponsored by Bonia find its owners! Thank you for the participation in Design Village A Red-Hot Lunar New Year Contest. Congratulations once again to the lucky winners! Stay tuned for more exciting contests in the future.